Stacey Engle, VP for Marketing at Fierce and I shared our respective programs helping people have those difficult workplace conversations. Women like to do things together. Nowhere is this more evident than in philanthropy where women’s giving circles and organizations large and small are making ripples, waves, and sometimes sea changes with their philanthropic dollars. Somehow running in packs or holding hands with other like-minded women bolsters their courage to embrace their power to think big and give boldly. Sometimes an existing joist, which was designed to handle a certain load, becomes too weak. When a builder needs to strengthen that joist, she puts a new member right next to the original one and fastens the two together. Sometimes, two new joists are needed- one on either side. They call that a Sister Joist. And carpenters use “Sister and “Sistering” as verbs to describe how they have bolstered a structure. NPR “On Being” host Krista Tippett interviewing power couple Abby Wambach (former captain of the U. S. Women’s Soccer team and scorer of the “most goals scored by anyone on the planet”) and author activist Glennon Doyle. Women Moving Millions’ own origin story starts with two sisters who raised the bar on women’s giving by setting the example themselves. Swanee Hunt made a large gift and challenged her sister Helen LaKelly Hunt to match it. The sisters must have been good poker players because Helen met and raised Swanee’s pledge. Each made multimillion dollar gifts to and through women’s funds, which were already existing local giving circles. Together they then challenged other women to give, sparking $182 million in pledges in four years. 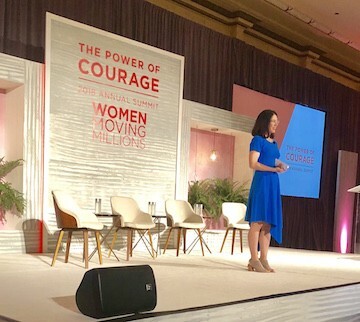 Lisa Witter kicks off the Women Moving Millions conference, themed “The Power of Courage” quoting Chief Seattle. But that turned out to be only the beginning. 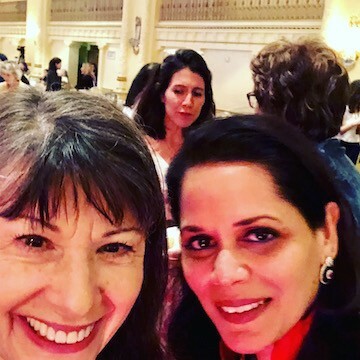 With Jacki Zehner as the organization’s founding board chair and a seed grant of $1.5 million from J.P. Morgan Chase, Women Moving Millions (WMM) incorporated as a nonprofit organization and now has many corporate sponsors and almost 300 individual members who have pledged $1,000,000 or more. Their mission is to catalyze unprecedented resources for the advancement of women and girls and they are well on their way. According to Fast Company’s “Future of Philanthropy,” two key trends are changing the face of traditional philanthropy. First is the rise of collective giving in general, funds where even small donors can pool their funds so that they have larger impact. And the second is the predominance of female funders in these giving circles and collectives. The Women’s Philanthropy Institute surveyed 1600 of these collectives and found that the amount of money raised has tripled over the last decade and 70% of them have majority female members. Almost half are women only groups. WMM board chair Mona Sinha has big plans. While in the spirit of #metoo, many of the presenters shared their stories of sexual abuse and violence, filmmaker Jennifer Fox observed, “It’s not about whether we suffer, but how we survive.” Telling one’s own story is powerful and in the process of speaking one’s truth, courage is multiplied. The program covered an array of topics from saving the environment to gaining fair compensation for restaurant workers to advancing racial justice to the importance of male involvement. These topics provided many reasons to give philanthropic dollars to solve the problems of the world, but everyone agreed that the world’s problems cannot be solved until women have greater legal and social equality and share equally with men in the world’s wealth. 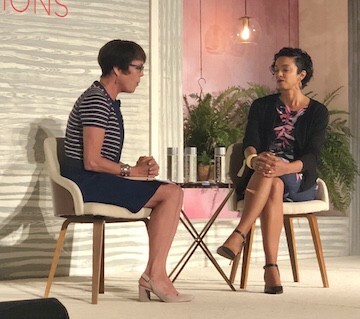 Lauren Embrey, president of the Embrey Family Foundation, and Vanessa Daniel, executive director of the Groundswell Fund, talked about the work to be done to share power and leadership across race and class. Gender, it was acknowledged (and as I have written about often and teach about here) is a socially constructed power structure that is currently hierarchical. 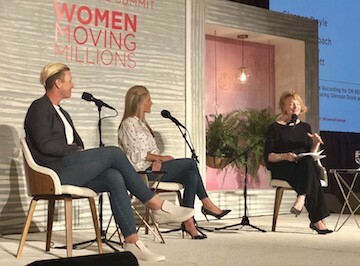 As former Women’s Funding Network CEO Chris Grumm admonished the women, it’s essential to pair courage with justice in order to use power for good. We have to start there, dismantling structures that are no longer serving men or women and certainly not the children in our society. 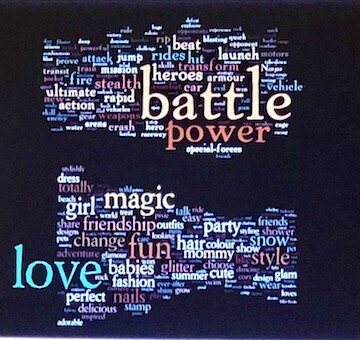 Which word cloud represents boys’ toys and which girls’ toys? Yep. Implicit gender bias. But therein lies the hope. What our culture has created, it can re-create through such means as the kind of gender lens philanthropy, investments, and social activism represented by Women Moving Millions and other such giving circles. 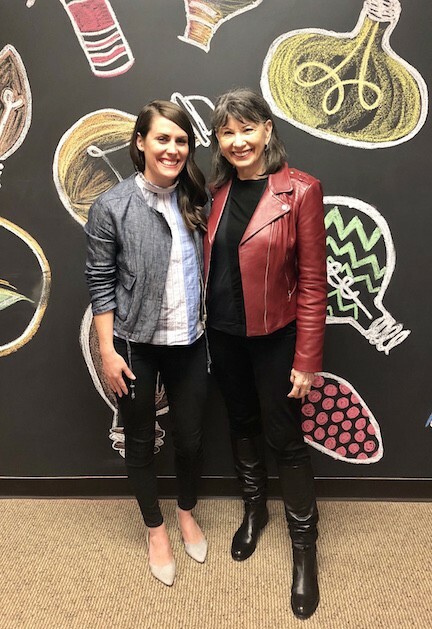 In a world that can seem mean and petty, women’s funding circles are, as the Hunt sisters envisioned, creating a new paradigm for how all people can thrive, with the power of courage and a lot of sistering.